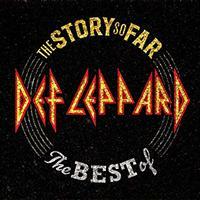 The Story So Far compiles Def Leppard's greatest hits and songs from their illustrious career. Having sold more than 65 million albums worldwide since their debut release in 1980 and proved themselves one of rock music's hardest working and consistently powerful live bands (playing to more than 50 million fans in the last 15 years alone). This set includes two 180-gram heavyweight black vinyl LPs.